The Senior Special Assistant to President Muhammadu Buhari on Media and Publicity, Mallam Garba Shehu, has hit back at the Peoples Democratic Party (PDP), for saying that the government orchestrated the kidnap of the Dapchi schoolgirls. 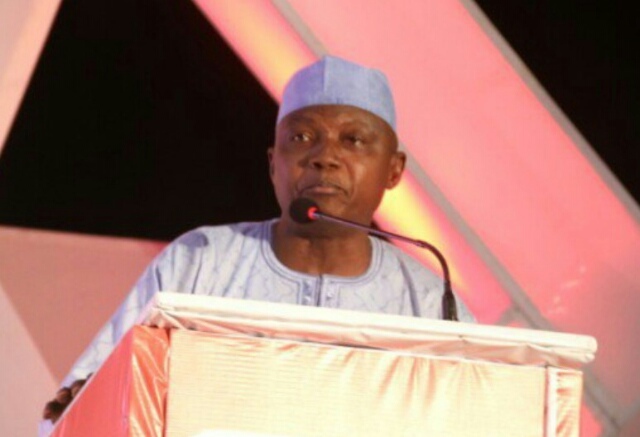 Shehu, who spoke with DAILY TRUST last night on the sideline of the launch of the British Broadcasting Commission (BBC) Bureau in Lagos, accused the opposition party of “bellyaching”. “The thing is that it is inconceivable that any leader with conscience will orchestrate this against its own people. But again this shouldn’t surprise us because we have seen it happening in America. When the Twin Towers were bombed, conspiracy theorists said that President Bush bombed the Twin Towers which killed 3,000 people in order to undermine Islam or to create justification for the war against Iraq. “They thought the Dapchi girls would give them an easy pass to power and that President Buhari can be equated morally and politically to their rotten government. Now they have lost a plot. They have to go and look for how to win power. How can they beat Buhari in infrastructure? How can they beat Buhari in the fight against corruption? How can they beat Buhari in securing this country and beating back Boko Haram? Those are the challenges we give back to them,” the presidential spokesman said. PDP in a statement by its National Publicity Secretary, Kola Ologboniyan, had described the release of the girls as a scam by Buhari’s government. Ologboniyan on his Twitter page, stated that the release of the girls was a plot by the All Progressives Congress (APC) to gain heroic appraisal from Nigerians.